Satori Design for Living readers put together 3 outdoor room designs using 3 different outdoor seating options. Check out these lovely outdoor spaces! If you remember about a month ago with the suggestion of one of my readers, I opened up the Designer Challenge to Satori Readers. Fortunately, Olioboard wanted to join in and offered to award our top three picks a 6-month upgrade to their Pro version. How fun! Readers were given three outdoor seating options, including the Catalina Lounge Chair, Geometric Pouf and Nantucket Chair. They were asked to create a mood board using one of them. 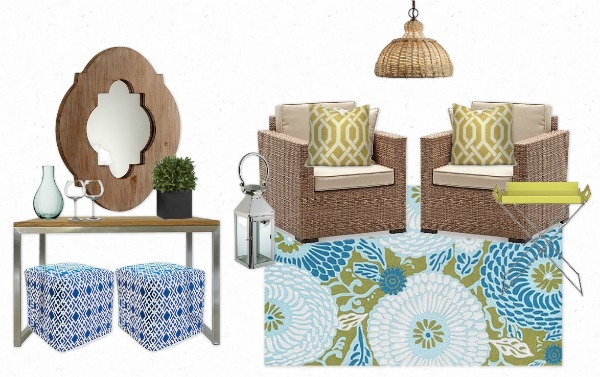 To help select the top three mood board entries, I enlisted the help of two past Designer Challenge participants, Nancy from Marcus Design and Jackie from Teal and Lime. 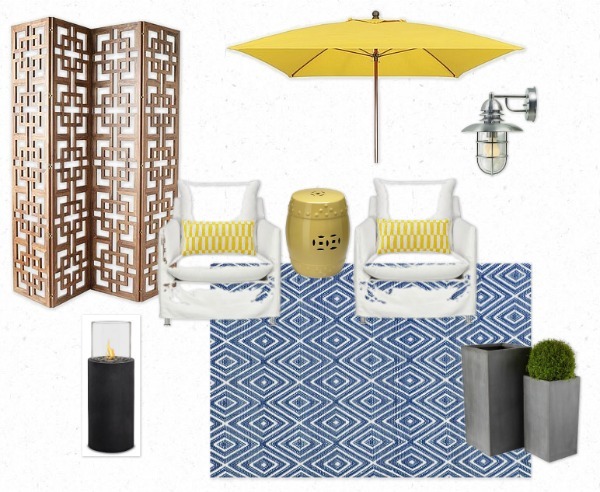 I just love these outdoor spaces sent in by Sheila, Shantelle and Tiffany! 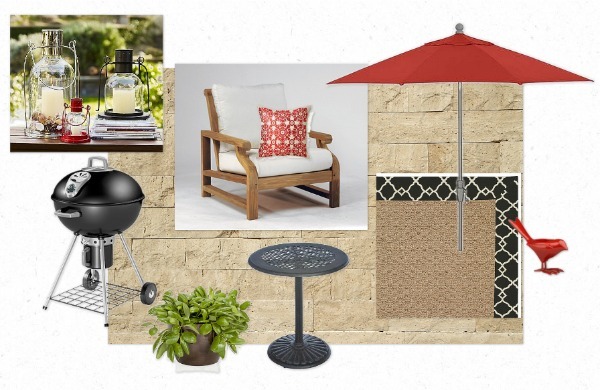 Is there one of these outdoor spaces you can envision spending time in? Which seating option most appeals to you? Special thanks to Olioboard for sponsoring the prizes for this challenge! Sending summer sunshine your way! If you’re a home design blogger and you’d like to be part of an upcoming Designer Challenge, please shoot me an email or leave a comment below. « What Can’t You Live Without? I like really like them all, but can see myself spending the most time relaxing in Tiffany’s Moroccan Lounge. Maybe it’s the wine glasses ;-) The seating option that appeals to me most, though, is Shantelle’s. Loooove that chair! I am really digging Tiffany’s Moroccan Lounge! I would totally sip a cocktail and hang out in that space! I think you need it! Hi Shauna, I would love to participate in this challenge. How fun!! Since I just discovered your blog, I hadn’t discovered these neat challenges. I look forward to your next one. Hi Rita, I’d love to have you. I’ll send you the details!